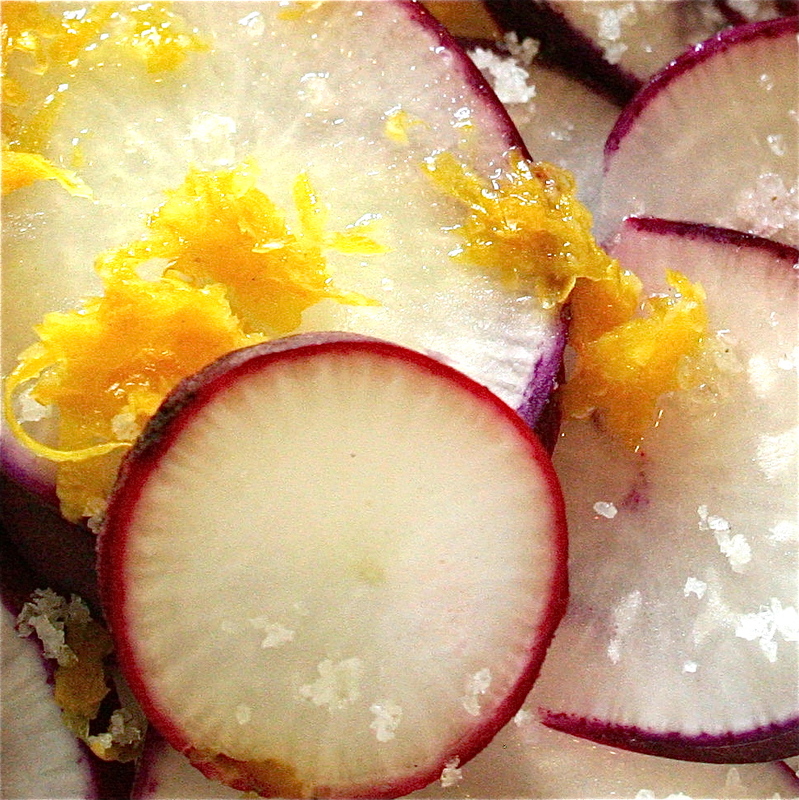 Today, Chie shares two beautiful (and healthy) radish recipes. 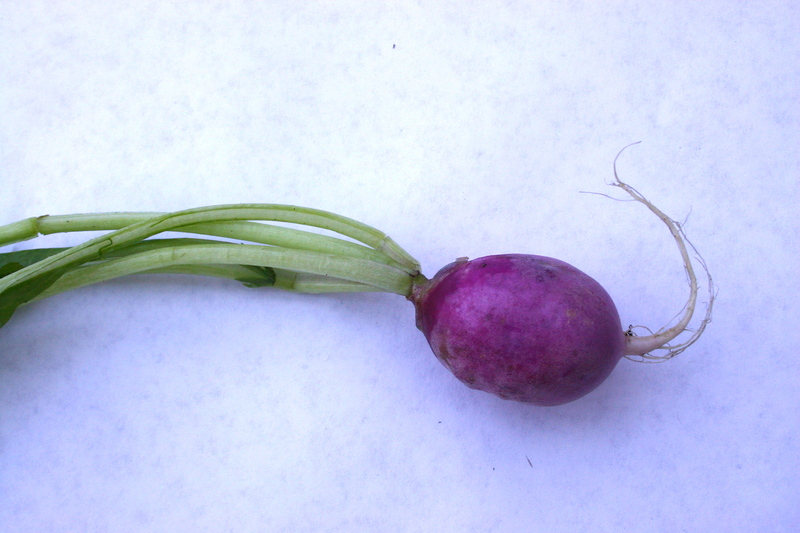 After teaching a friend how to make this simple, satisfying salad, she said I’d cured her of her hate of radishes. Slice radishes thinly and place in a medium bowl. 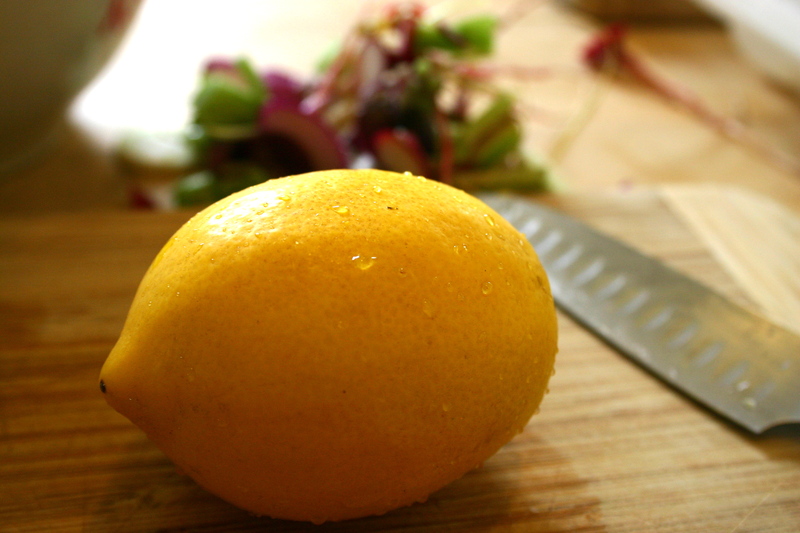 Toss with ginger, lemon and sea salt. 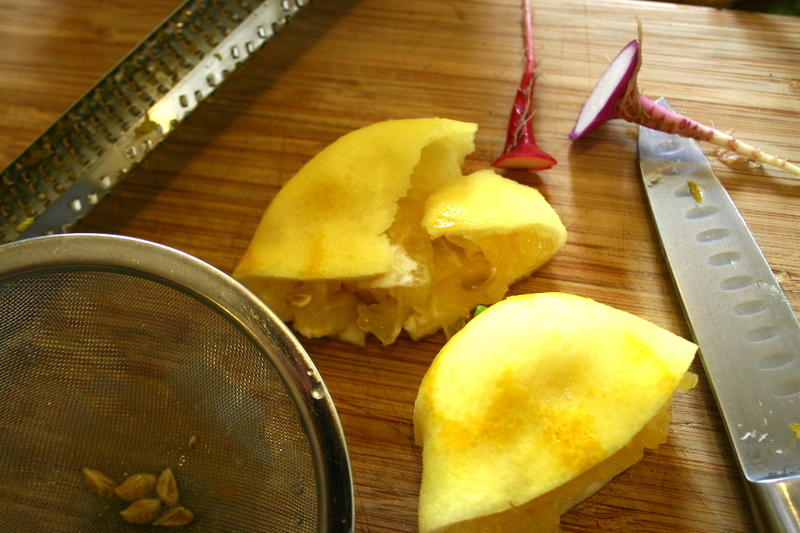 Let sit for the flavors to marry and the radishes to release some of their juices. Enjoy as a refreshing light side dish! 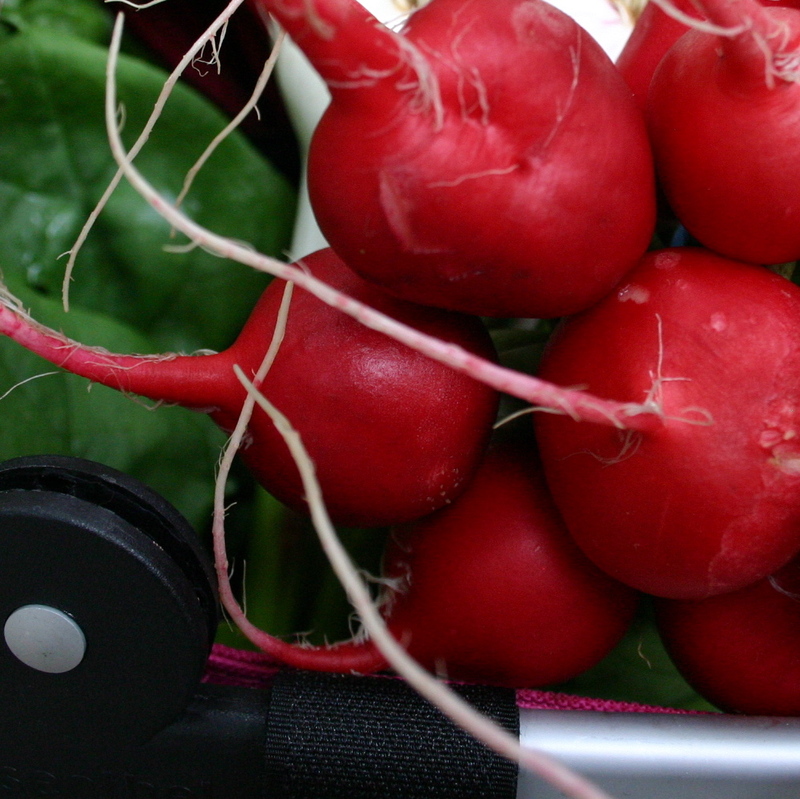 In our farm share last week, we received a gorgeous bunch of radishes. Since I like to have brothy soups in the morning, I came up with this simple, satisfying soup. I hope you feel as nourished as I did when I ate it. Wash the radish greens and tops thoroughly. Separate the radishes from the tops. 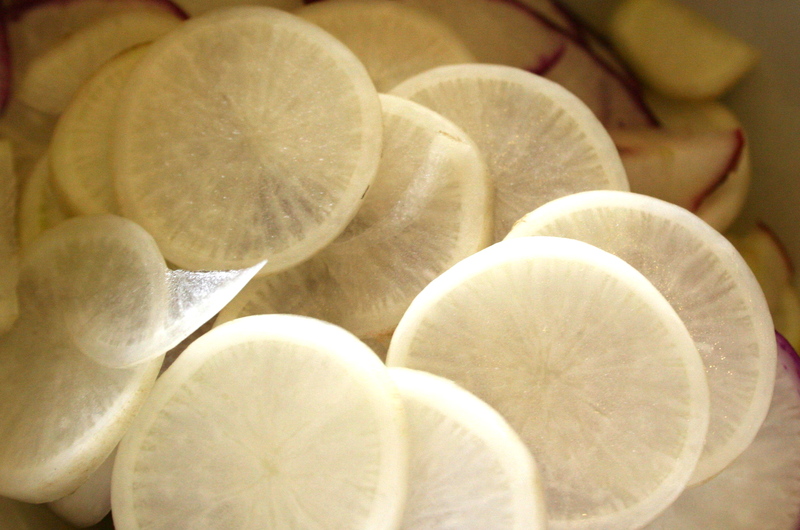 Cut radishes into wedges. Radish greens are very fragile and do not last long, so the fresher the better. Heat a medium pot with the coconut oil. Saute the onion and ginger until fragrant. and the radishes start to heat through. are just tender yet firm. Toss the greens in and turn the heat off. Drizzle tamari on top and serve. 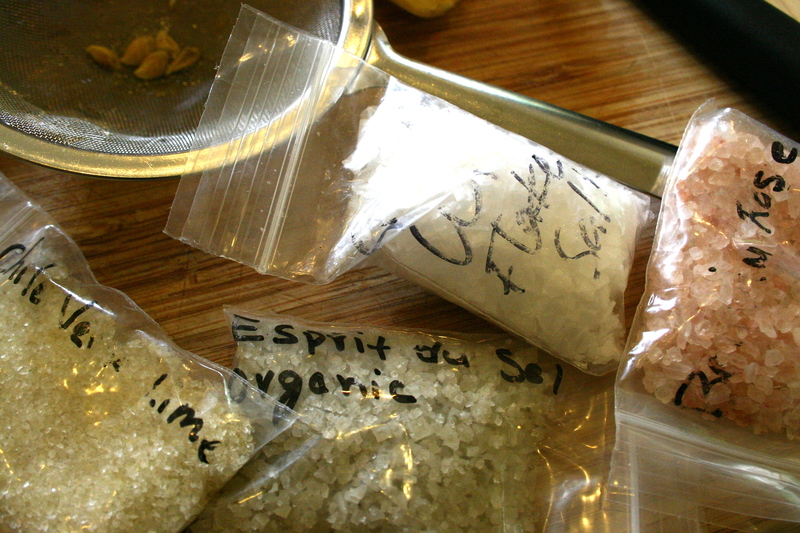 *I like to use Celtic sea salt because it has retained its naturally occurring minerals. This entry was posted in Recipes, Roots, Summer Vegetables and tagged CSA, Garlic, Local, Organic, Radish, Salt. Bookmark the permalink.